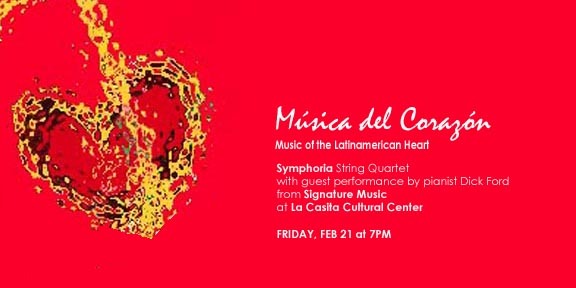 The La Casita Cultural Center, Symphoria and Signature Music, are partnering up to present “Música del Corazón,” or “Music of the Heart,” a string quartet recital featuring classical compositions, rhythms and melodies of Latin America. The event, scheduled for Friday, Feb. 21, will also mark the announcement of La Casita’s newest offering, Mi Música, a music program debuting this spring that will teach local youths to play the piano and/or the violin. Scheduled to start at 7 p.m., the first half of the hour-long recital features the classical portion of the program in the work of Brazilian composer Heitor Villa Lobos, String Quartet #1, which is the first of his 17 string quartets, written in 1915. The exotic nature of Brazilian folk music evolves through Villa Lobos’ profound knowledge of the classic European style and tradition of composition. Villa Lobos is considered the most significant figure in 20th-century Brazilian music. The second half of the recital will feature more popular Latin American tunes, including boleros, tango and music from the plains of Colombia and Bossa Nova from Brazil. The event is free and open to the public. 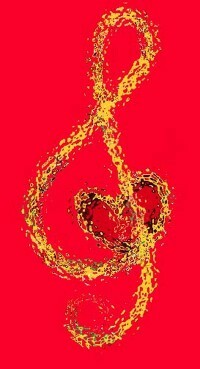 La Casita welcomes donations, gifts and general support for the upcoming music education program that begins in April. For more information, call 315-443-1879 or email lacasita@syr.edu.